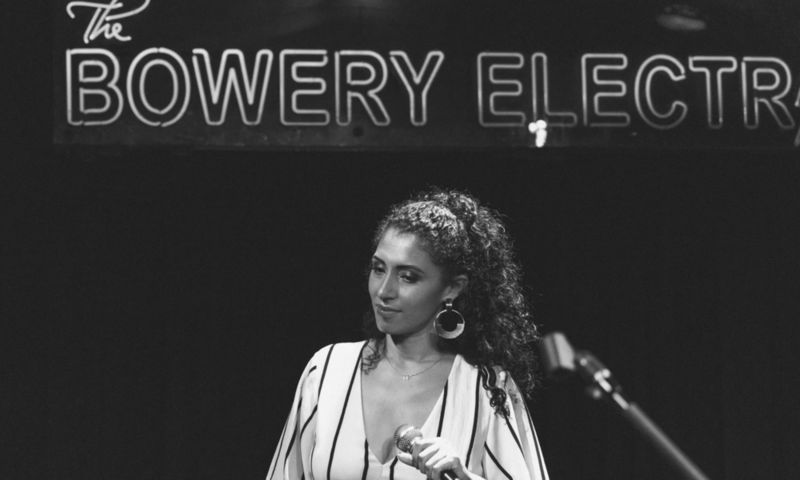 Hailing from the boroughs of New York City, Pop/R&B Adult Contemporary recording artist, Joan Mercury, hit the ground running with the music realm in 2015 as a versatile and on-the-rise solo artist ready to take the music industry bull by the horns. Born and raised in the suburbs of Montgomery County, Maryland, Joan Mercury’s family emigrated from El Salvador. “They came to give me an opportunity they felt they never had, so I want to take advantage and show them that dreams and miracles can come true." Beginning at the age of 7, Joan used to entertain her family with acting performances. They quickly noticed her natural abilities to entertain. As she got older, Joan utilized and mastered music as an emotional release. Singing became a love and hobby she didn't share with anyone. Even though she had no formal training, with relentless vocal practicing she continued to develop and progress her artist development stages. And thus, an aspiring talented singer began to take form. Through many highs and lows, the Artist part of her decided to use her personal life experiences as a way to pour energy and emotion into constructing music that not only aimed to impress, but also to inspire. Joan’s upcoming album “Mercury Rising” transports Joan Mercury into the spotlight, and emphasizes the release of emotion into a collection of captivating tracks that most with struggles can identify with. She hopes that her music can inspire hope, strength and the realization that anything is possible if you give it your all. “Honestly for me, if this album could help one person to realize their worth and change their perspective, that would be gratifying enough”. Joan Mercury’s Artist influences stem from a vast array of genres and styles from the 80s and 90s era. Ranging from Janet, Queen, Sade, Prince, Amy Winehouse, George Michael, David Bowie, Duran Duran, to more recent artists such as Alessia Cara, Rihanna, The Killers and Dua Lipa. Now as a developed and multifaceted singer/songwriter, Joan Mercury possesses an insatiable knack for effective songwriting structures, beautifully blended harmonies, a distinctive soulful-style of singing and charismatic presence that creates a masterful mix of musical chemistry. Joan’s signature sound is paralleled perfectly with her stylized image and artistic merit, making her stand out from your average artist. Her fully self written debut album, "Mercury Rising" chronicles the stages of healing after a toxic breakup. Taking the time to honor each emotion as they came while learning and applying the hard lessons along the way. She needed to know who she was and what her patterns were so she wouldn’t end up with the same outcome . “A lot of these tracks resonate with how I grew up and my family dynamic. I think one of the hardest things in life is taking ownership for ourselves and for our mistakes, but a lot of self growth comes after that.” She wanted to showcase that there is hope even through the most difficult times. That these difficulties are life lessons and if you extract that lesson and show yourself compassion, you easily give compassion to others. Self love is key. Miss Mercury is surely on the rise.